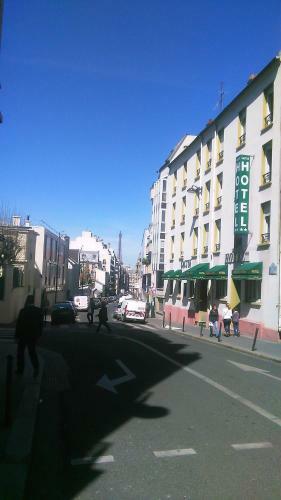 This Parisian hotel is situated just a 10-minute walk from the Montparnasse SNCF Train Station, and 150 metres from the Volontaires Metro stop. 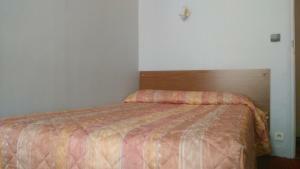 It offers comfortable rooms with satellite TV. Guest rooms at the Cactus are equipped with a flat-screen TV. 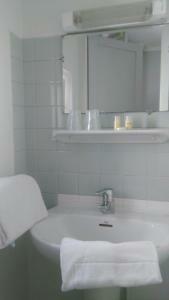 Some also have a private bathroom and toilet. Low-cost Wi-Fi access is available in each room. Facilities at the Cactus hotel include a 24-hour reception and a luggage storage room. 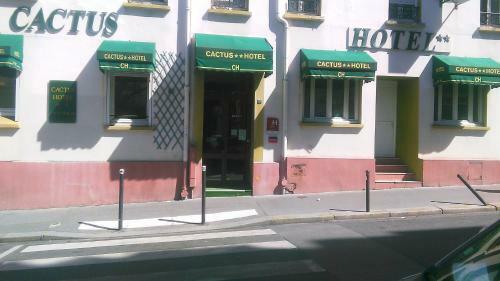 The Cactus is in close proximity to the Porte de Versailles Exhibition Centre and next to the Pasteur Institute. Guests will find many shops and restaurants in the surrounding area. If you plan to arrive after 23:00, please contact the hotel on the arrival day in order to receive the access code. Rate: € 66.50 ... € 95.00; select dates below to get current rates. Rate: € 83.30 ... € 119.00; select dates below to get current rates. 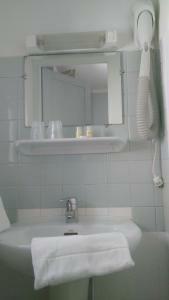 This single room has a satellite TV and accessed to a shared bathroom and separate shared toilet. Rate: € 48.38 ... € 59.00; select dates below to get current rates. 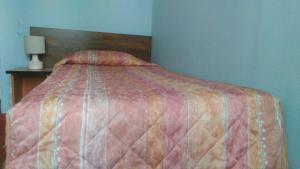 This double room has a satellite TV and accessed to a shared bathroom and separate shared toilet. Rate: € 56.58 ... € 69.00; select dates below to get current rates. Rate: € 101.50 ... € 116.00; select dates below to get current rates. Rate: € 140.00 ... € 200.00; select dates below to get current rates.